Majestic Bombay offers a salon-quality Slant Tip Expert Tweezer for eyebrows and other grooming needs. It is made of stainless steel with a pink non-slip grip finish. The tips are precision-aligned and hand-filed. The tweezer also boasts perfectly calculated tension to ensure full control so that the tips close evenly and firmly. In my experience, it's hard to find a pair of tweezers that actually works and doesn't get dull right away. Some aren't even that sharp in the first place! So I was excited to try out a new pair of tweezers that are actually sharp and high quality. This pair is not only carefully made but it has a lifetime sharpening guarantee, which I appreciate! The worst thing to do is trying to tweeze your eyebrows with a dull tool. After using the Slant Tip Expert Tweezer for several weeks, the tips are just as sharp as when I first got it. I find that I am able to get to every hair that I want to remove - even the tiny ones. I like the size of this tweezer - not too big that it grabs too many hairs but also not too small either. It's just right for my eyebrows. It's really easy to use and then store again in the plastic pouch that comes with it. I do recommend always storing in a pouch since the tips can be sharp. 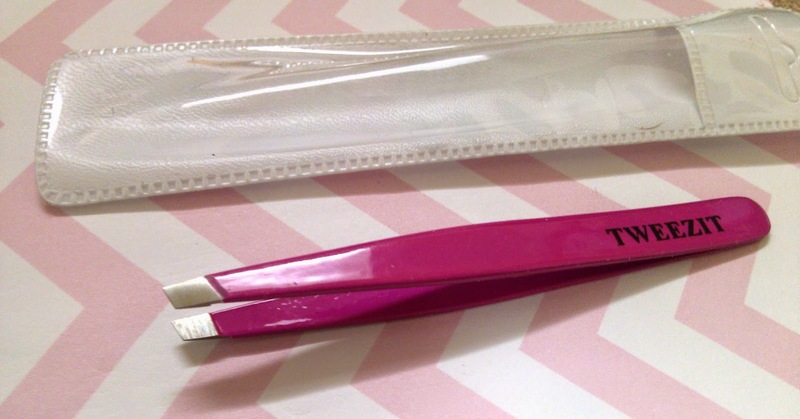 Overall, this tweezer is not only quality-made but really cute with the pink finish. The tool allows for full control and can reach even tiny eyebrow hairs.